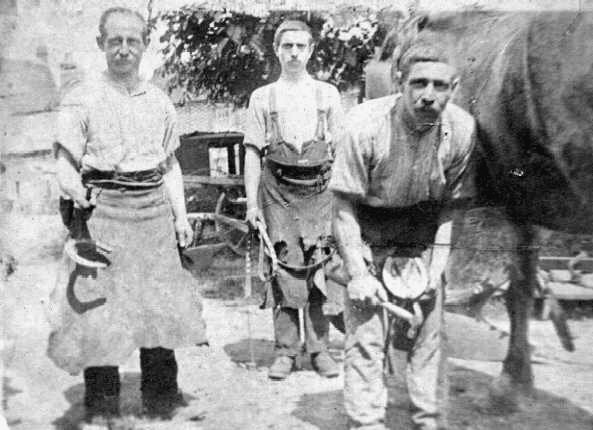 - Blacksmiths - 1910 (BS0071) Top of Birmingham Yard From the left it is Albert Charles b1873, Ernest Anderson b1883, the carpenter, & George Joseph (Joe) b1875 is shoeing the horse. - Stacking stooks on Rick - (BS0377) Crowmarsh Battle Farm in WWII. 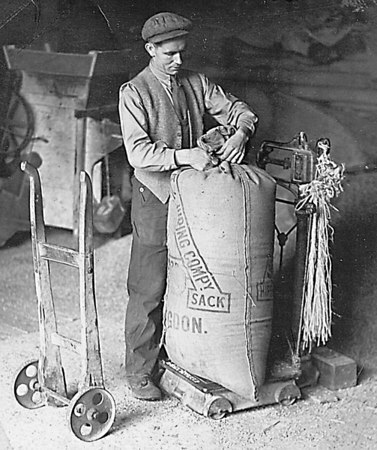 The Chamberlain Crop-Collector in use here was invented by Walter Chamberlain (son of F.J. Chamberlain).